It should be no surprise to you that getting out of your comfort zone not only vital to your success, it's also not easy to do. But when you have the right people and a few great techniques on your side, stretching yourself can be so much easier. Don't settle, for the status quo. Take action and get after your dreams. 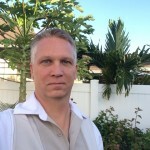 Patrick McDaniel is the founder of WiseInsights.net, a site dedicated to helping motivated but weary achievers keep making progress toward their goals and dreams. 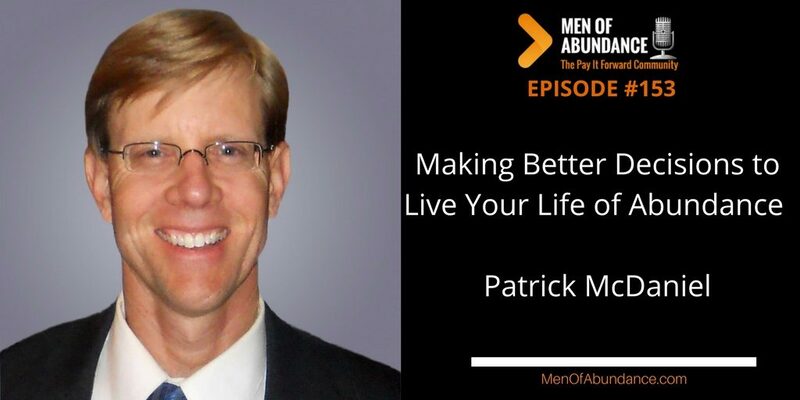 Pat uses a unique blend of research-backed insights and time-tested wisdom to provide his readers with smart, sure paths toward greater success. Pat’s most popular book is “The Research-Backed 5 Step Process to Making Better Decisions.” In it, he reveals how to overcome the hidden influences and processes that corrupt our decision making. Yes, it can be harder than it sounds. But don't complicate it things. Get a coach and get to work on yourself and your goals. Decision Making Resource Page. Better Decisions = Better Life! I want to provide an amazing experience to you, Men of Abundance. While I love learning new things and techniques, I also know how important it is to FOCUS on what I'm good at. That's, in part, why I decided to get Podcast Websites in my corner to help me build an incredible podcast website experience for you and make it easier on me. This is one of the best decisions I've made on this journey so far. I know it will be for you as well. If you're like me, you want that sooner than later, right? That's why I suggest you check out Podcast Websites today. I created a short tutorial video for you.